Learn how to create delicate and life like flowers from sugar flower paste. Each class provides step-by-step instruction to create your very own sugar flower. Notes are provided including flower paste recipes. In this class you will create a large frilly Tree Peony bloom. Previous experience is needed to make this flower. 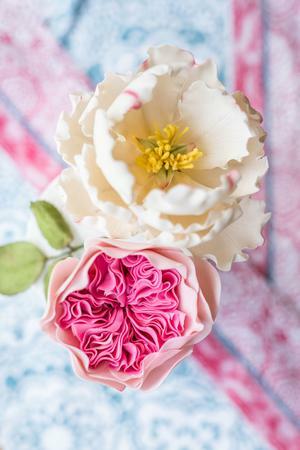 In this class you will learn how to create the David Austin Rose with all its frilly petals.